In June 2017 CAST was awarded a substantial grant from Arts Council England’s Small Capital fund. 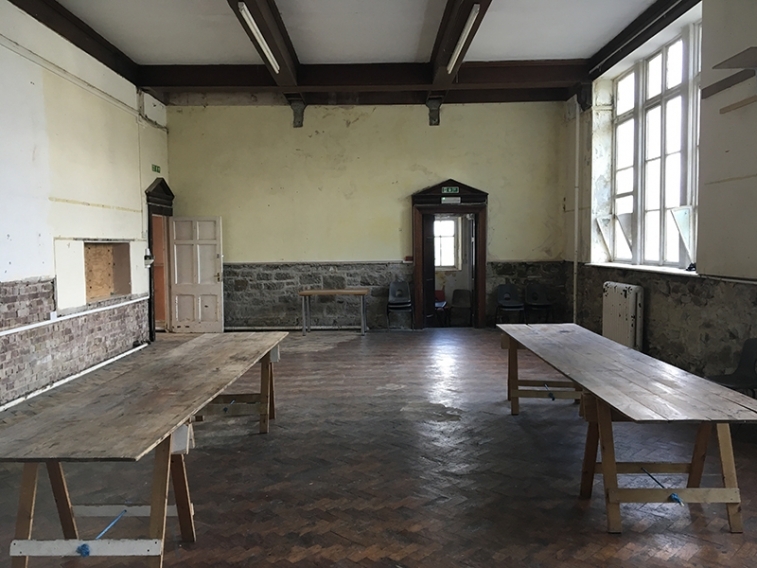 The grant of £499,999 is the maximum that can be awarded through this scheme and will support improvements to the public areas of the building, enabling CAST Café to become a full-time operation, bringing the old school assembly hall into use as a multi-purpose space for public events and activities, and creating a space for residencies. The project will be undertaken in two phases. The first phase, including the creation of a kitchen for CAST Café, refurbishment of the café space and the addition of new French windows and a terrace, began in January this year, to be ready in time for the opening of Groundwork at the beginning of May. The second phase of work will begin after the close of Groundwork and will be completed by spring 2019. In addition to support from Arts Council England, the project is supported by grants from Cornwall Council and Monument Trust and by funding from Helston Town Council and the Helston Downsland Trust. Further fund-raising will be required to complete the scheme. The outline design was prepared by the London-based architectural practice Cooke Fawcett Architects, which was founded in 2015 by Oliver Cooke and Francis Fawcett, both of whom formerly worked with Herzog & de Meuron Architects on major UK and international projects including Tate Modern. Cooke Fawcett’s scheme provided the basis of the successful application to Arts Council England. CAST has appointed Alison Bunning to develop and deliver the project. Known for her award-winning work at Kestle Barton, Alison Bunning is a respected conservation architect who has undertaken work on a broad range of historic buildings. She is working with Trevor Humphreys MRICS, a project manager and quantity surveyor who specialises in challenging grant-aided projects in the cultural sector in the South West.